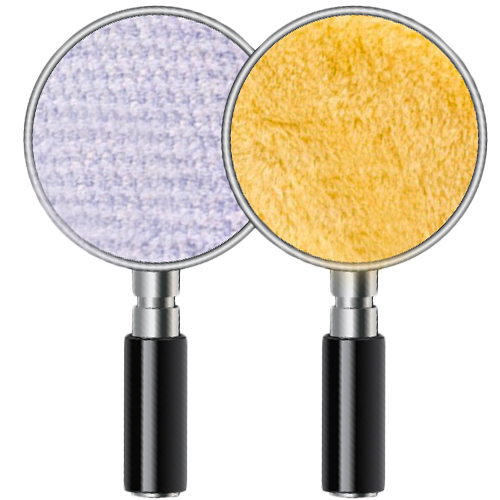 RUPES BigFoot Coarse and Medium Wool 145 mm - 5.75" Orbital Polishing Pads have been engineered for random orbital and gear driven orbital polishers such as the RUPES BigFoot LHR 21, LHR 15, LK 900E Polishers. 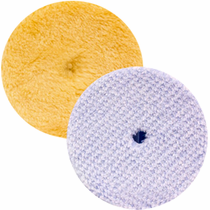 The superior advanced technology coarse wool dual-density fiber mated to a dense foam backing of the RUPES BigFoot Coarse Wool 145 mm - 5.75" Orbital Polishing Pad offers remarkable cutting power and provides rapid leveling and defect removal with amazing finishing results. This advancement in wool pad technology also avoids haze and other undesirable effects of the common wool pads on today�s market. 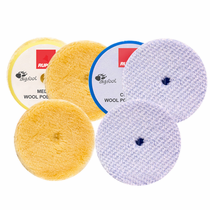 The RUPES BigFoot Medium Wool 145 mm - 5.75� Orbital Polishing Pad has high grade 15 mm fiber backing on a yellow flexible foam to provide medium cutting abilities while producing an extraordinarily clear finish. 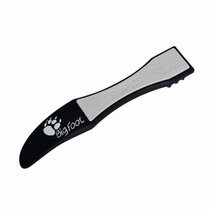 Size: 145 mm - 5.75"
Use RUPES BigFoot Claw Pad Removal & Cleaning Tool while spinning on your polisher to dislodge buildup of polishes and compounds as needed . Wash with a mild soap and water mixture by hand or in a washing machine without the use of fabric softener. Press and squeeze out excess water. 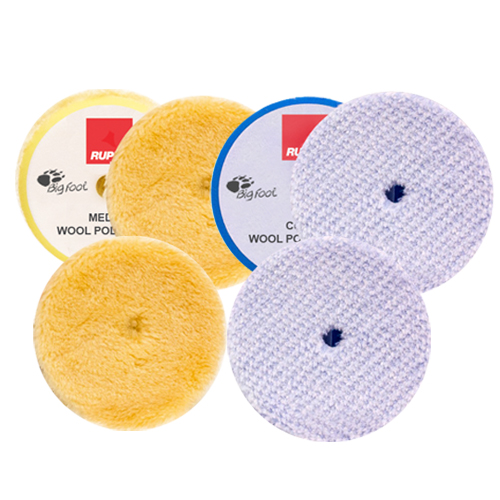 RUPES BigFoot Coarse & Medium Wool 5.75" Orbital Polishing Pads should be air dried or by machine only on a delicate cycle with low or no heat. Dryer sheets should not be used.